Wax – Waxing is the most common and most popular form of hair removal. There are two types of wax, cold wax and hot wax. 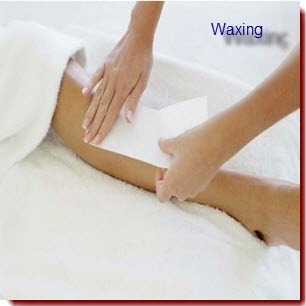 Cold Wax – a thin application of wax over the area (usually the legs and arms, or back and chest). The removal of this wax is done with strips which are placed on top of the applied wax and then quickly pulled off to provide a painless experience. Hot Wax – this form of wax is melted prior to usage so that it is the correct consistency when applied. The wax is applied to the area of hair growth and is left to cool on the skin, and as it cools it traps the hairs so the removal is successful. This wax is usually done on smaller areas such as the eyebrows, lip, and unwanted facial hairs.